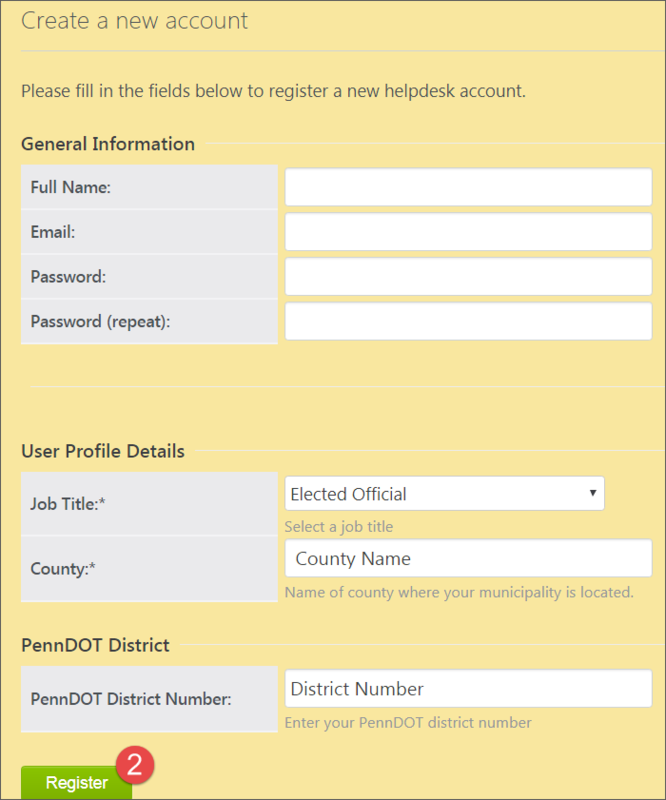 Create a PennDOT Connects account to take advantage of all of the resources that the Hub has to offer. 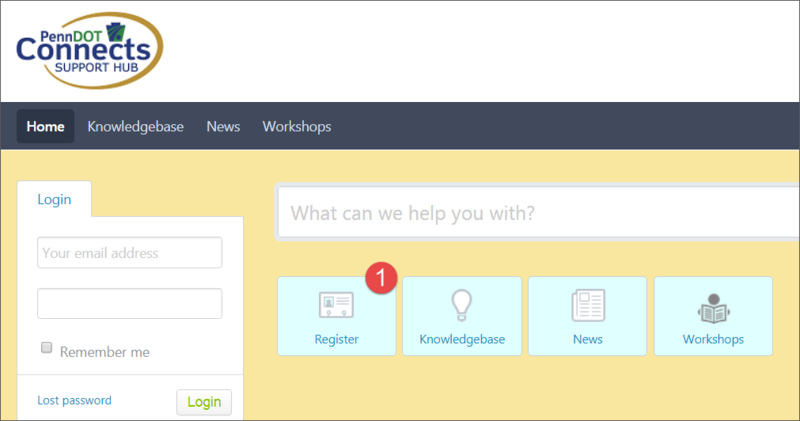 Only registered users can request technical assistance and receive emails about important news. The registration process is simple and only takes a couple of minutes to complete. Please follow these instructions to create an account. Step 1. Select the Register button. Step 2. Complete the registration form and select Register. Please remember to enter your county name and PennDOT district number. Step 3. You will receive 2 emails. In the email with subject "Verify Your PennDOT Connects Hub Helpdesk Registration" click on the link to verify your email address and activate your account. Step 4. Success- your account has been created. 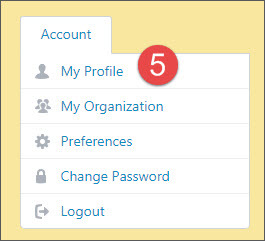 To log into the system, enter your email address and password and select Login. Step 5. Complete your profile. Select My Profile under the Account menu on the left side of the screen. Enter your Organization, Title/Position, and Phone Number. Select Update.